Adult Asian Long Horned Beetles can be detected throughout the country beginning in late May and lasting until October, with a peak in July due to increase in temperature. 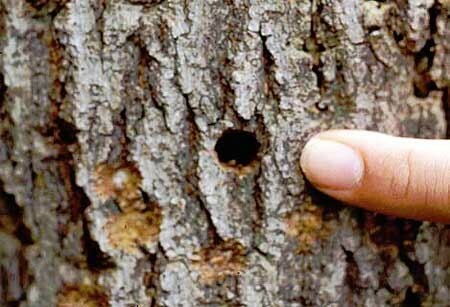 Large exit holes ranging from 3/8 inches to 3/4 inches in diameter may be found in the larger branches and crowns of infested trees. Sap oozing from these exit holes along with coarse sawdust on the ground accompanied with decaying tree limbs and yellowing leaves without a drought may be sound evidence of an infestation of Asian Long Horned Beetles. 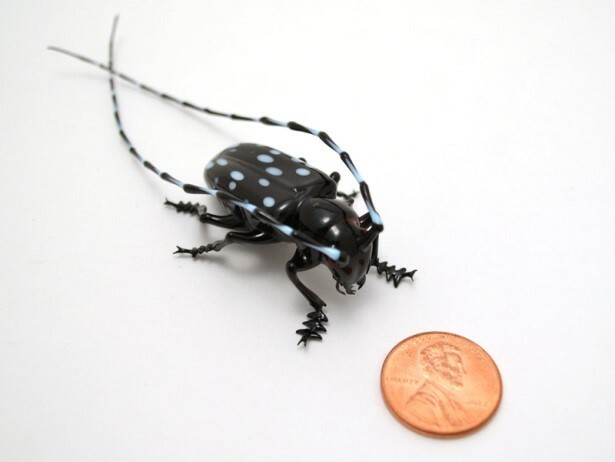 Asian Long Horned Beetles attack both healthy and stressed trees of any age or size and are one of the most destructive non-native species of insects in the United States. Asian Long Horned Beetles feed on the leaves, twigs, and other plant materials of more than 24 species of hardwood trees. Adult Asian Long Horned Beetles tend to lay their eggs in the same trees from which they emerged as adults, migrating only when population density becomes too high and can be found in most areas of the country, as long as a suitable host tree exists.